Google has just recently changed their algorithm regarding non-responsive websites. If your website is not responsive when searched for on mobile devices, your search rankings will decrease. Having a responsive website, means that your website increases or decreases in size automatically, depending on what device the website is viewed on. See an example below of a recent responsive website that I developed for Constructing Spaces. If you find that your website is not responsive (or even if you just need your old website to be updated) Fig Tree Design Studio can help! 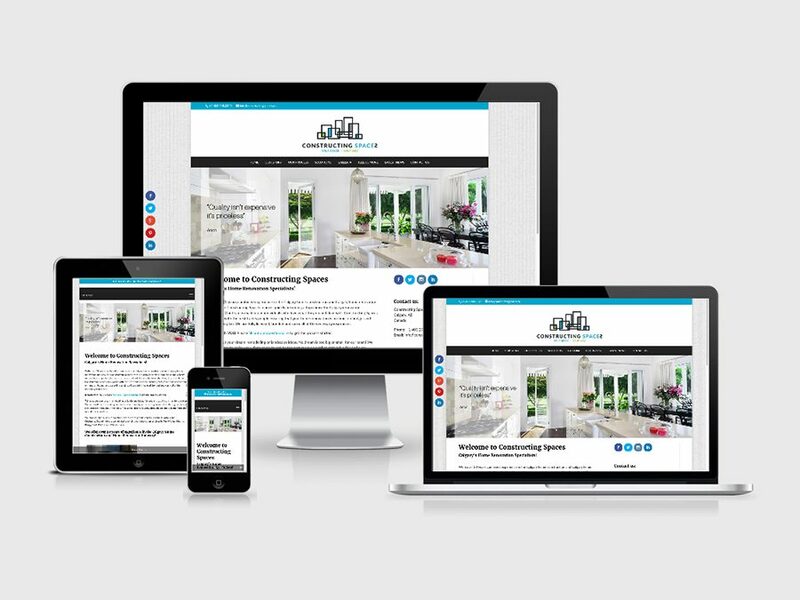 We can take your old or outdated website content and re-develop it as a new responsive WordPress website! Just call us on 587 435 2025 or email us on info@figtreedesignstudio.com to speak to us about your website.